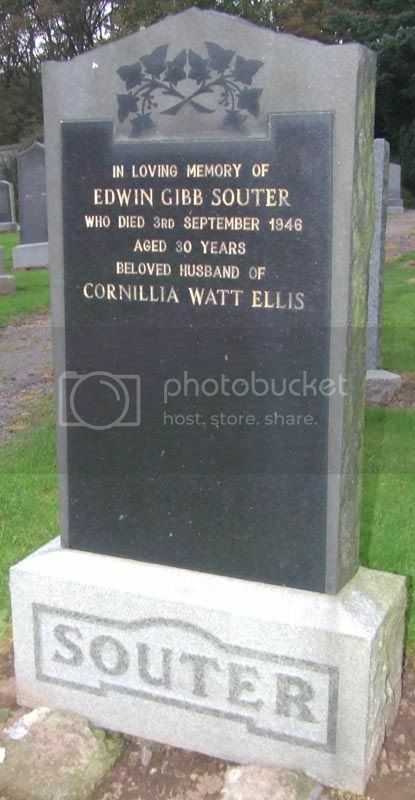 Additional information: Son of Roy and Elizabeth Souter; husband of Cornillia Watt Souter, of Stonehaven. Grave/Memorial Reference: Section 2, No.516, Compart F.
Additional information: Son of Alexander Murry Anderson and Sarah Nicholson Anderson; husband of Ann Anderson, of Johnshaven, Kincardineshire. Date of death on CWGC and grave are 2 days out. 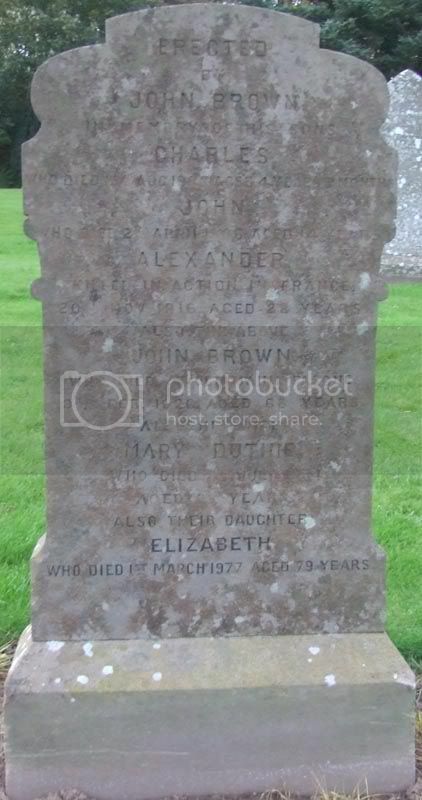 Additional information: Son of Mrs. Mary Brown, of East Lodge Fasque, Fettercairn, Kincardineshire. Additional information: Son of Robert and Elizabeth Croll. 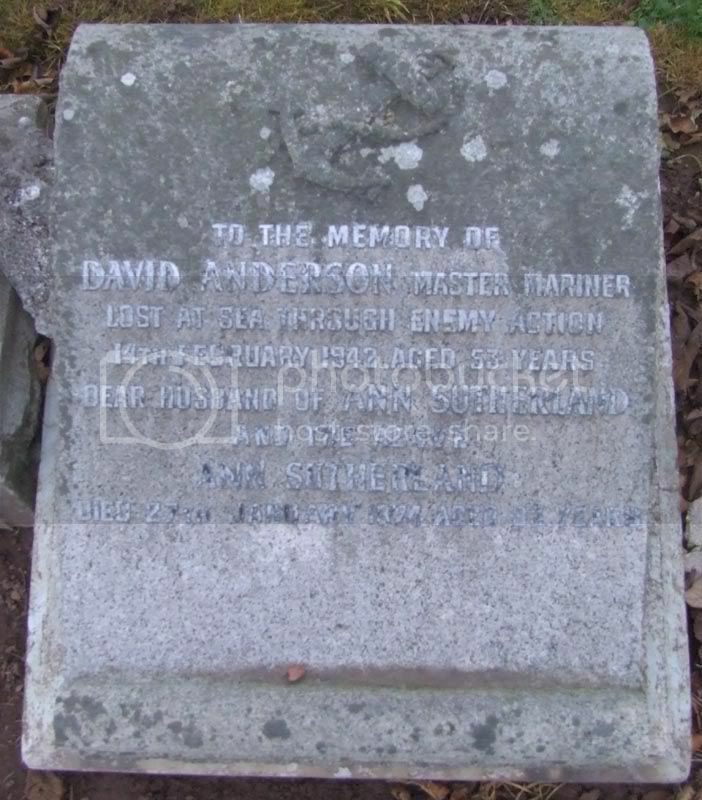 Additional information: Son of David and Ann Welch Davidson; husband of Margaret Legg Davidson, of Johnshaven, Kincardineshire. 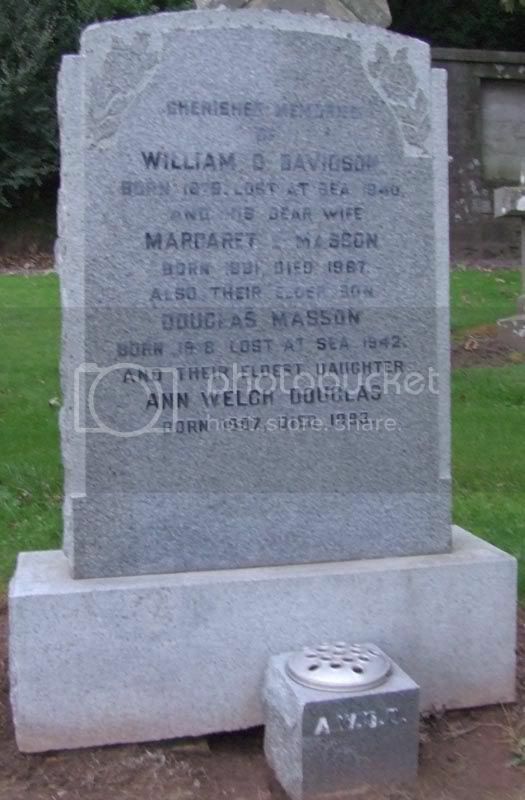 His son Douglas Masson Davidson also fell. 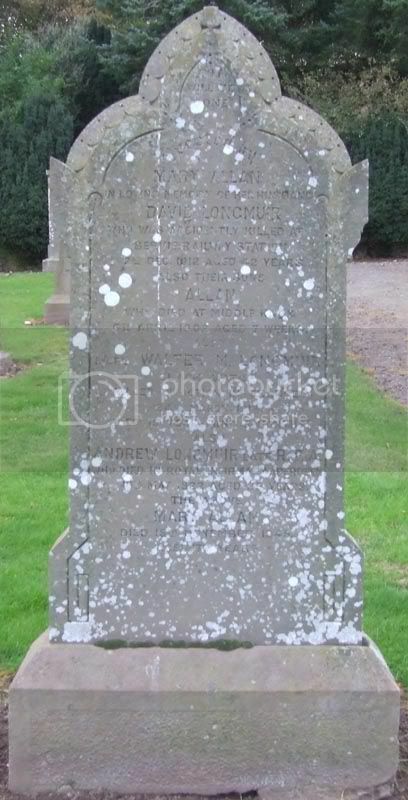 Additional information: Son of William Douglas Davidson and Margaret Legg Davidson, of Johnshaven, Kincardineshire. His father William Douglas Davidson also fell. 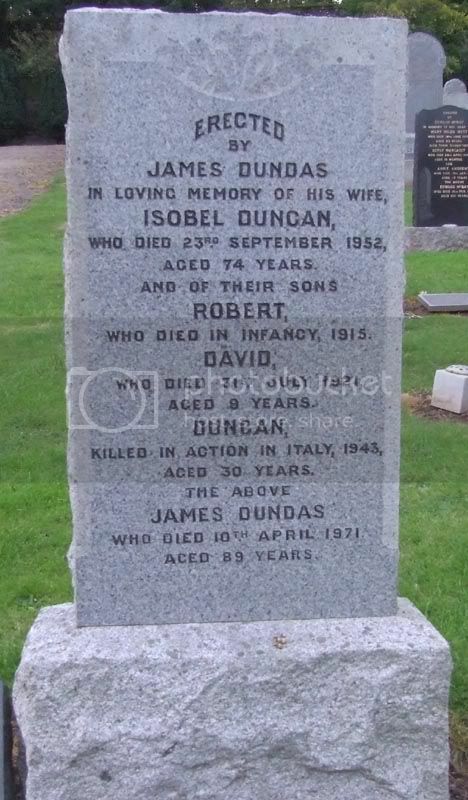 Additional information: Son of James and Isabella Dundas; husband of Sheila Henrietta Dundas, of Kirkcudbright. 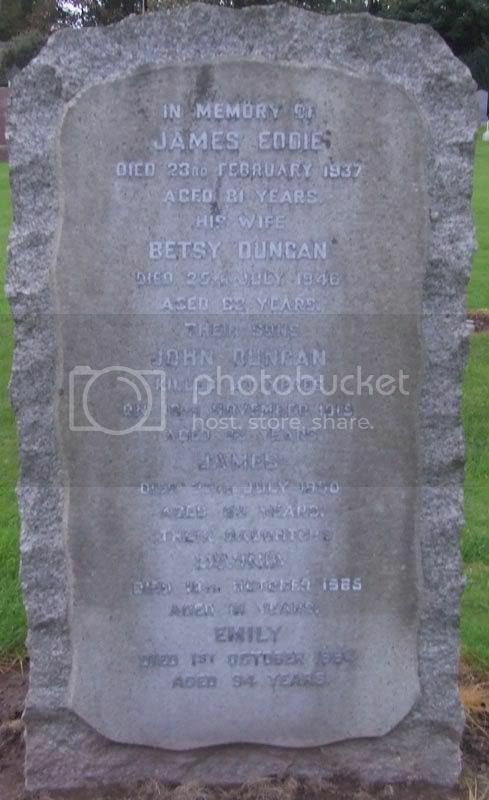 Additional information: Son of James and Betsy Eddie, of 24, Main St., Johnshaven, Kincardineshire, Scotland. Native of Fettercairn, Kincardineshire. Grave/Memorial Reference: III. B. 54. Additional information: Son of Mrs. Mary Mearns, of Haughs of Benholm, Johnshaven, Montrose, Forfarshire. Grave/Memorial Reference: IV. E. 1.